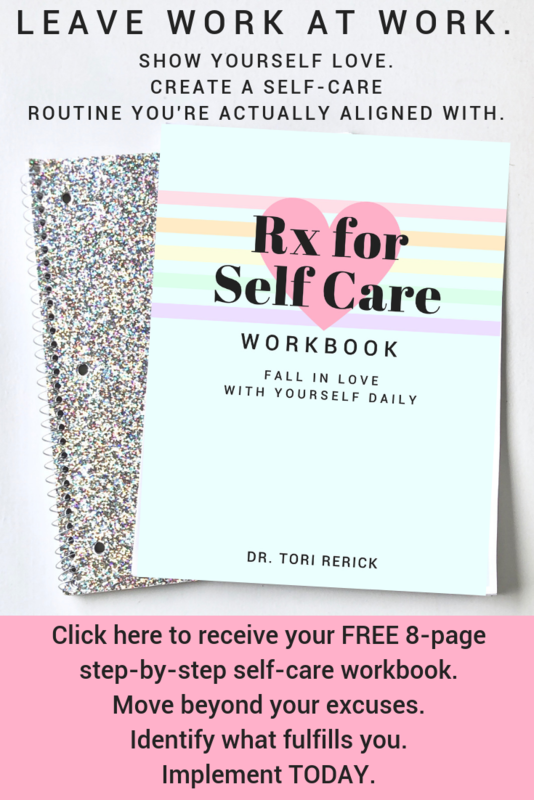 I’m Tori Rerick, PharmD and mindset coach. I stopped practicing pharmacy directly in September 2018 after recognizing a new passion. While experiencing intense burnout after only two years practicing in my field, I found relief with increased, intentional self care. This time in my life inspired me to serve the profession, healthcare industry, and patients in another way. I took my coaching business full time to help prevent burnout among women in health and wellness. I teach them self care and mindfulness to encourage a field of healthy, efficient, and engaged professionals. Although my title is mindset coach, the term is a bit sterile for the work I do. I teach women how to manage their emotions with mindset techniques however I also incorporate spirituality for a holistic experience. If you’re wondering where the name Tidy Tor came from, it was my original YouTube handle for all things organization! Now, I’ve transitioned from trying to control my feelings by organizing my external world to being able to organize my thoughts and prioritize myself for maximum wellbeing. My motto has become tidy your mind, organize your life. If you catch a vibe with me, I’d be happy to connect with you. My purpose is to support and guide you.